Portable generators are the most common type of generator on the market. This is because they offer the widest application and flexibility in use. However, choosing one can be difficult. There are a lot of differences between portable generators. The list of features of fuel powered generators is long. For example, there are three types of starts, three types of fuel, several options for fuel control and the list goes on. Buying a generator should be an educated choice. There are a number of design features, electrical features and mechanics to think about before purchasing a portable generator. Below are tips on how to choose the right portable generator for you. This is a detailed guide on portable generators. In most cases, a portable generator refers to a moveable generator that is powered by either liquid propane, gasoline or an oil/gas mixture. However, a few other types of generators are also sometimes labeled as portable generators. These are the small inverter generator and the lightweight solar power generator. These are given the label of portable generator because they are so easy to carry. The size of generators is measured by their power, not their dimensions. Portable generators running on fuel can be categorized into 3 brackets. These are less than 2000 watts, 2000 – 7000 watts and 7000 watts or more. Portable generators with a power of less than 2000 watts are the lightest and are usually hand-carried with a handle. Most of these models are less than 70 pounds. The dimensions of a portable generator between 2000 watts and 7000 watts vary greatly. These models can be a hand-carry design or built like a cart with wheels. The more power, the bigger the generator dimensions. The most powerful portable generators are heavy, anywhere from 200 pounds to 300 pounds. These are considered heavy-duty models. They often have a protective design with never flat tires. Once you have found how much power the generator requires, you can start to think about the design of the portable generator. As mentioned, most designs are closely related to the generator’s power. Meaning, the more power the bigger the generator. The smaller portable generators are good options for occasional use like camping trips. These designs are easier to carry around and fit easily into a car. If you only need to charge a few personal electrical devices like mobile phones and flashlights then these smaller generators are enough. An even better alternative for outdoor trips is a solar power portable generator. Thanks to the solar power and rechargeable batteries these generators don’t require any extensive wiring and cords. This saves you even more space and weight. When you need more power but don’t expect to run an entire building, a mid-size portable generator is the best choice. Portable generators designed like an easily wheeled cart are useful for outdoor work sites or for an RV. These generators have enough power for electrical tools and appliances like a TV or fridge. If you are expecting to haul around the portable generator frequently, pay close attention to how mobile the design is. Look for sturdy wheels and a comfortable grip on the handle. The biggest portable generators are somewhat misleading. Yes, the designs have wheels but because of their weight they are not easy pull around. Some designs are over 250 pounds which should not be pulled by alone. However, their power is sometimes necessary for example during extreme weather conditions. Looking for a portable generator that can act as a backup home generator? Since the generator is to be used for only one place, choose a safe spot for the generator. This way, the generator can stay stationary and the weight is no longer an issue. Generators mention two levels of power; the running power and surge power. Both are measured in watts. Running power is also called the rated watts. This is the capacity of the generator over a continuous amount of time. Surge power is also called starting power or starting watts. Electrical devices and appliances consume more power when they are turning on. To accommodate this increased need of power, generators also have a surge power. However, this can only be held for a few seconds. Make a list of all the electrical devices and appliances to be run on the generator. For each item on the list, note down the running power in watts. Also include the surge power in watts where possible. Add all the running watts. This is the minimum required running power of the generator. Take the highest value for surge power on the list. Add the additional wattage to the total running watts. In addition to the minimum required power, add a few hundred watts. This is to ensure that the generator can handle any power fluctuations or additional needs in the future. Note: Not all devices and appliances mention the surge power. To prevent electrical damage and overloading, add a few hundred watts to the total required running power. Here is an overview of average wattage for common electrical home appliances and tools. Note: These are general numbers that might not apply to your specific items. Always check the wattage of each electrical device you want to keep running with a generator. The run time of a fuel powered generator is usually expressed at a half load (50% capacity) or a quarter load (25% capacity) with a full tank. Take the following example. A generator has 8 hours run time at a half load. If it is a generator with 2000 watts running power then it can run for 8 hours when the load is kept at 1000 watts. The run time of solar powered portable generators is measured in watts per hour or “WH”. Since there is no fuel tank, the run time depends on how big the connected load is. Other important time figures are how many sun hours it needs to be fully charged. Most solar power generators also include rechargeable batteries. In this case, the number of hours to reach full charge is also important to consider. A transfer switch is an essential for home standby generators. It connects the generator to the home’s through the utility grid. The transfer switch prevents the generator from turning on simultaneously with the regular electricity supply. When both electricity supplies are connected you run the risk of fires and blown circuits. Let a professional install the transfer switch for you. This is a precise job that can lead to electrocution if not done properly. Another reason why a transfer switch is important is to prevent backfeed. Backfeed occurs when the generator sends electrical waves in the opposite direction of its normal flow. This is highly dangerous and life threatening. Backfeed can occur when the generator is connected to the area’s main grid. It can also occur when a generator is directly plugged into the main outlets of the building. Never attempt either connection. Always connect the portable generator to a building to its main utility grid through a transfer switch. Carefully follow the portable generator’s user manual instructions and take all the necessary safety precautions. It is better to have several outlets on your portable generator. There are two main reasons to have several outlets on a portable generator. The first reason is to spread the load. The load is the number of appliances connected to the generator. Spreading these connections over several outlets makes it easier for the generator to keep the power stable. On the other hand, it is not recommended to use all outlets at the same time. Using all generator outlets simultaneously makes the generator work very hard. For a prolonged time period this can cause it to overload, or be overworked. An overloaded generator damages all connected devices, including the generator itself. The second reason why having several outlets on a generator is useful is for the variety of outlet type. 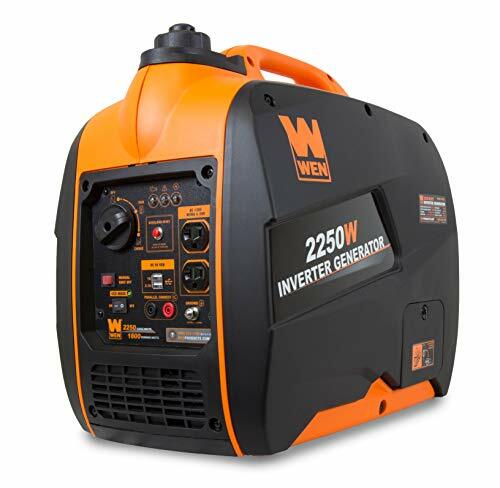 Most portable generators are fitted with two standard outlets; a 120 volt 20 amp plug and a 120/240 volt 30 amp plug. Pay close attention to the amps and volts needed for the connected devices. Don’t connect devices that go over the mentioned volts and amps. If the generator is not fitted with an automatic circuit breaker, get one. This protects both your connected sensitive devices and the generators. Portable generators that are designed to have a stable enough power for sensitive electric devices also have an additional plug type. Some lightweight hand carried portable generators even have a USB port. Sometimes, you cannot find the perfect portable generator with all the features that you want. Fortunately, some generators can be adjusted into more user-friendly units. Below are a few portable generator features that can be added to generator by a qualified technician. Keeping track of the fuel tank of a portable generator is important. You don’t want the generator to run out of fuel during emergencies but you don’t want to be too full either. Checking the amount of fuel left is difficult with certain designs. This is easily solved with a fuel gauge. The visual is also a reminder to have enough fuel in stock. Emptying the fuel tank of a portable generator is even more difficult than keeping track of how full it is. This is why many people choose to have the fuel tank somewhat filled. However, leaving a generator idle with fuel inside it cause damage to the machine. Using a fuel stabilizer prevents damage such as corrosion and possible starting issues. Many portable generators have a pull start. This means that a cord needs to be pulled to get it to turn on. A pull start is a little more laborious since it is common to have to pull several times with great strength. Especially for elderly people, a pull start is an obstacle. Fortunately, many newer models already include a push start or electrical start. If this is not the case then this can be added to the generator. For a start with a button, the portable generator needs a battery. Some portable generators are already fitted with a battery but this can installed if necessary. A qualified technician can then fit the generator with all the wiring necessary for a push start. A newer feature on portable generators is a wireless remote start. The generator is provided with a wireless key that can switch on the generator from a distance. 80 feet is a common distance for these types of generators. A wireless remote start is a good option for work site portable generators. There is no way around it, portable generators are loud. Especially the portable generators with the most power make a lot of noise. There are more quiet options such as inverter generators and solar power generators, though. There is a solution for fuel powered portable generators, too. Some designs can be fitted with mufflers to reduce the noise. The mufflers won’t make the portable generator completely silent but it does help.